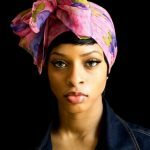 Some simple tips that How to Tie a Silk Scarf into a Bow as Headband on Your Head is not difficult if one follow it step by step. 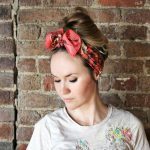 To tie a scarf as a headband is a brilliant idea for styling dirty hair and for covering the untidy regrowth of baby hair. It adds elegance to your whole look and at the same time give you an easy way out from long hours for styling your messy hair. 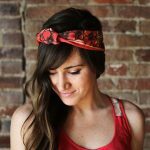 There are multiple steps to follow while wrapping a silk band into a bow as headband. 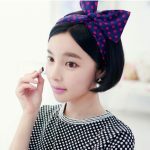 Here you have a complete step by step tutorial on how to make a stylish bow shaped headband from a silk scarf. 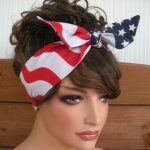 Silk fabric is preferred as it is more comfortable on head. Step 2: Fold the opposite corners towards the middle of the scarf to make a lozenge shape. Step 3: Now fold one half of the scarf towards the middle. Step 4: Fold the other half on the top of the previously folded half. Step 5: If you want a less wide scarf, fold it in another half. Step 6: Now iron the band form of scarf to maintain the crease of the folds and twist it gently to hold the folded shape. Step 7: Place the folded scarf at the base of your hairline. Now place the open ends where you would like to place the bow. 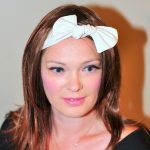 The suggested position for bow is right upon the side parting. Step 9: Now carefully tie a bow if the scarf is long, you can have double knot of the bow. Tug the rectangular open ends on the bow. You can also leave the ends as they are according to your choice. Step 10: your bow is ready. Now you can straighten your hair on back or can have them on one side with loose curls. 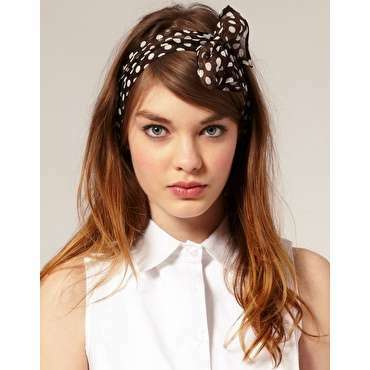 You can also have a braid on one side with headband and bow on the other side right near your forehead. 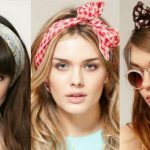 So, it’s time to try this easy and trendy look with a stylish bow of silk scarf and follow these tips of How to Tie a Silk Scarf into a Bow as Headband on Your Head.